» Do Diets Really Work? Do diets really work or are they a never ending promise to deliver an option that doesn’t really exist? Many sign up for the newest fad diet of the month only to return to their original eating sooner than later. Next week I’m speaking at an impressive company that makes chocolate and cheese—my two most favorite foods on the entire planet. At first, I was asked to discuss diets, will power, and commitment. As I thought about the topic I questioned if I was giving an honest talk if the presentation revolved around diets. 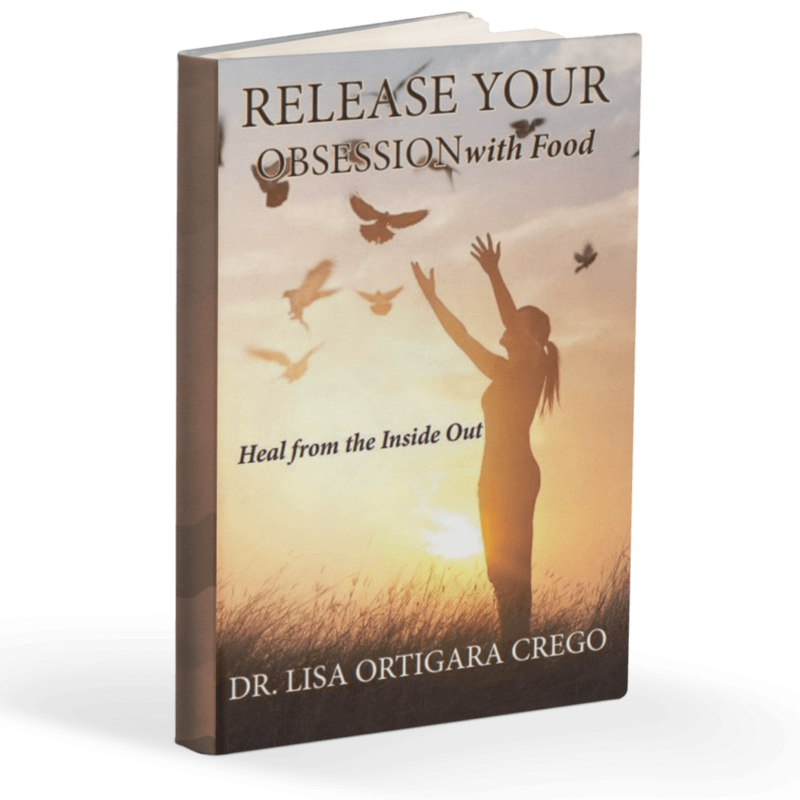 Sometimes I get misunderstood as the diet doctor, especially since the launch of Release Your Obsession with Food: Heal from the Inside Out and Release Your Obsession with Diet Chatter: Heal from the Inside out. They kinda look, on the surface, like diet books—but I assure you they’re anything but. They are two books on how to change your relationship with food. My goal was to present a rich and provocative understanding of chemical imbalance, psychology, and spirituality—a bio-psycho-spiritual point of view, as it relates to compulsive eating. And the bonus: Weight Loss. So, I went back to the drawing board, after a lengthy conversation with the HR Director, who organized the event, and to my delight a subtle switch was made to now: Healthy Eating – Will Power – Staying True to Your Commitment! Ah…better, except the will power part. What is will power? It sounds like clenched jaws thinking: I will not eat, I will not eat…I WILL NOT EAT!!! Will power is right up there with diet…but let’s see….how can I turn this around. Let’s start with healthy eating, what is that? Healthy eating is eating healthy. It seems simple, right? Nope. When I say eating healthy visions of carrots, celery and other types of rabbit food are envisioned. Though those are delightful foods, it’s a bit diety. What about lovely homemade raspberry pancakes for breakfast with a dollop of vanilla yogurt or coffee ice cream for a half-meal boost? Or what about a meal of chicken with French fried potatoes (air fried of course) topped with roasted peppers and onions. Although healthy eating and nutrition are the main focus it doesn’t have to be boring diet-like foods. Creative eating opens the door to healthy eating. Understanding what healthy eating and nutrition means can get murky. Yes, healthy eating is nutritious foods but better yet it’s eating to sustain life—and a step beyond—what you eat determines how healthy the body is. Today, the standard American diet consists of low fiber, high fat processed foods. Not good. Nor is it healthy eating. Healthy eating consists of fruits, vegetables, carbohydrates, dairy, fat and most important protein. And if you visualize these foods combined in an appetizing way, such as homemade raspberry pancakes for breakfast or a vanilla yogurt coffee ice cream, it becomes enticing, yet nutritious. It takes a bit of creativity and combining the right ingredients and voila you are eating delectable foods that will contribute to your overall health. Healthy eating is eating foods that are palatable, delicious yet nutritious. That works. What about that will power thing again? Heck who wants to be clenched jawed. Not me. Will power is the control of one’s impulses and actions: self-control. It’s a very strong determination to do something. When we will something it’s not natural it’s almost like a stipulation. And human nature resists what is forced—so rather than willing it how about accepting and embracing a new way of eating so you can stay true to your commitment—the third part of my talk. As I was preparing for my my presentation I stumbled upon an interesting article, by Dr. Sachin H. Jain entitled, Sometimes Food is the Best Medicine. Dr. Sachin admits he writes plenty of prescriptions for medicine to help his patients get better but pondered over the thought if he can write a prescription for food. What a brilliant idea. What if doctors prescribed real food as a medicine? Dr. Jain goes on to note a survey of doctors found that most wished they could write prescriptions for nutritious foods. This is so telling. The body operates at its optimal level when fed a wide variety of non-processed foods. When I travel I always bring my food on board the plane. When asked what’s in the extra bag I’m carrying I say my medicine. I have hypoglycemia and food is the remedy for preventing low blood sugar which keeps me mindful of what I need to keep on hand at all times. Access to nutritious foods is a game changer. Real food heals the body from many ailments. Often my own patients come in with anxiety, depression or some other combination of mood disorders, and on close look it is apparent they are eating processed foods with little to no nutritional value. I wrote an entire section in my book, Release Your Obsession with Diet Chatter: Heal from the Inside Out on Baby Jessica who was a toddler sucking on a gooey frosty drink grasped with chunky fingers weighing as if she were five years old. She pulled a complete temper tantrum in my office to the shame and embarrassment of her mother who actually was there to see me and had to bring baby Jessica because the babysitter bailed due to Jessica’s known temper tantrums. I’m pleased to say Jessica is now in middle school, weighing a healthy number and her mom and family made a complete turnaround in their moods after turning their food consumption upside down—a complete shakeup. Out with the junk food and in with the nutritious, delicious real foods. My patient’s husband no longer needed anger management classes, and her son was able to let go of his Adderall for Attention Deficit Disorder and baby Jessica turned into a lovely well poised delightful girl. And the mom, she lost excess weight—as did the entire family and all is well, which brings me back to the third point of my talk which is staying true to your commitment. Staying true to your commitment is omitting diet mentality and turning instead to daily life-style overhaul; eating real foods with nutritious value. Every food eaten should serve a purpose such as feeding your cells, brain, and all other essential organs not to mention clean blood and …Successful change of eating habits revolves around healthy eating and instead of will power, willingness for change and most important staying true to your commitment. When it’s NOT a diet but a change in lifestyle it allows your commitment to last your lifetime. Lifestyle change means exercise, healthy foods, sleep, water, relationships, and play time work time…balance. So, do diets really work or are they a never ending promise to deliver an option that doesn’t really exist? The answer is easy, diets die, and they are temporary rather than lifelong. So, off I go to speak to an impressive company that makes chocolate and cheese—my two most favorite foods on the entire planet. Stay tuned…you never know where my mind will wander to—what I will bring to the forefront for you to ponder too. Keep in touch! I want to hear from you and learn from you. Previous Post Are All Addictions the Same? Next Post Is the Chocolate Bunny Calling You?